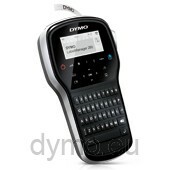 With the portable, rechargeable DYMO® LabelManager™ 280 you can easily organize everything. 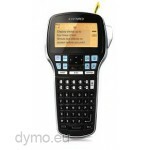 Connect it to your PC or Mac®* to customize your labels with fonts and graphics from your computer. Type text fast – comfortably and easily – on the computer-style keyboard with country-specific layout. Edit text quickly using one-touch fast-formatting keys. Label without the cost and waste of disposable batteries – with the rechargeable battery pack you just charge, type and print. The LabelManager™ 280 prints 50% faster than other DYMO label makers. And it prints DYMO D1 labels in 6, 9, 12 mm widths in a variety of colors – perfect for labeling your files, shelving, equipment and more.